If you want a vanity that is both stylish and useful, this modern vanity is perfect. The beige tan marble counter and white solid wood base make a beautiful look in your bathroom. With a double-door cabinet and drawers, this vanity can hold all kinds of bathroom items. This simple vanity set from Wyndham Collection will fit right into any bathroom decor. 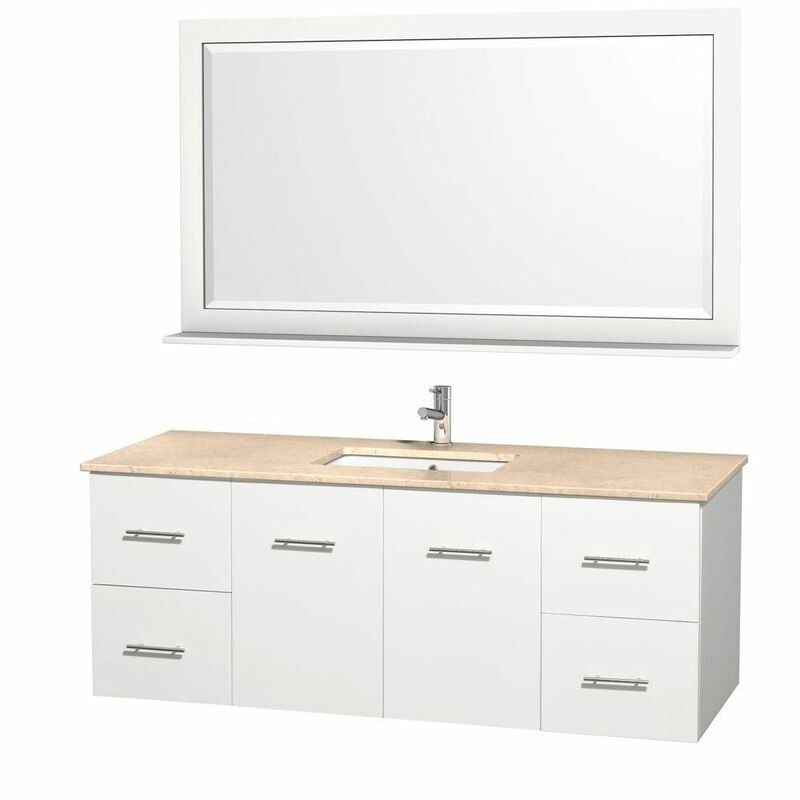 Centra 60-inch W 4-Drawer 2-Door Wall Mounted Vanity in White With Marble Top in Beige Tan If you want a vanity that is both stylish and useful, this modern vanity is perfect. The beige tan marble counter and white solid wood base make a beautiful look in your bathroom. With a double-door cabinet and drawers, this vanity can hold all kinds of bathroom items. This simple vanity set from Wyndham Collection will fit right into any bathroom decor. Centra 60-inch W 4-Drawer 2-Door Wall Mounted Vanity in White With Marble Top in Beige Tan is rated 3.0 out of 5 by 1. Rated 3 out of 5 by DR from The color on the vanity top is very caramel colored... The color on the vanity top is very caramel colored - not ivory at all. It doesn’t come with a backsplash and there is no way to order one. You have to buy tile and have it installed.